hi guys, you can now watch the first 8 minutes of episode one from season 6! yep our ginger queen turns 30 today! 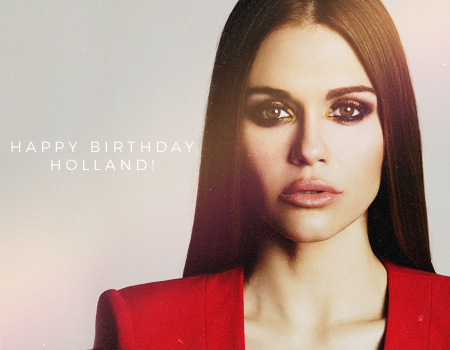 happy birthday Holland, wish you lots of love, success, happiness, we love you so much! Have an lovely day! Holland Roden walked the MTV Video Music Awards red carpet on Sunday nigth for the final time as a member of the Teen Wolf cast, with the popular show set to air its final episode this fall. The actress, who looked picture perfect in an ivory jumpsuit and cape by Kayat, spoke about what fans can expect in upcoming episodes of the show, which she said gets very similar to a recent Netflix hit series. ‘If you like Stranger Things season one, I think that showrunner and our showrunner are the same person,’ Roden told DailyMail.com. 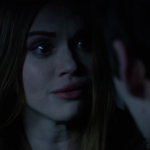 When pressed for my detail Roden said fans will just have to tune in and see what happens. Roden also talked about her beauty look for the night, which included some glitter highlighting her hair. And getting the look was relatively simple explained Roden. ‘You put tape down on either side of the part and you put liquid sugar which is like a liquid glue basically that comes out with a wash and then your sprinkle the glitter,’ said the actress. 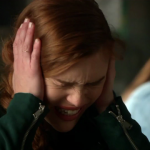 Roden and the Teen Wolf cast announced the show was ending when they appeared at Comic Con in July.